I love it when my husband cooks. He is so much better at it than I will ever be. On tonight’s menu he sliced good Italian bread, buttered it and toasted it under the broiler. 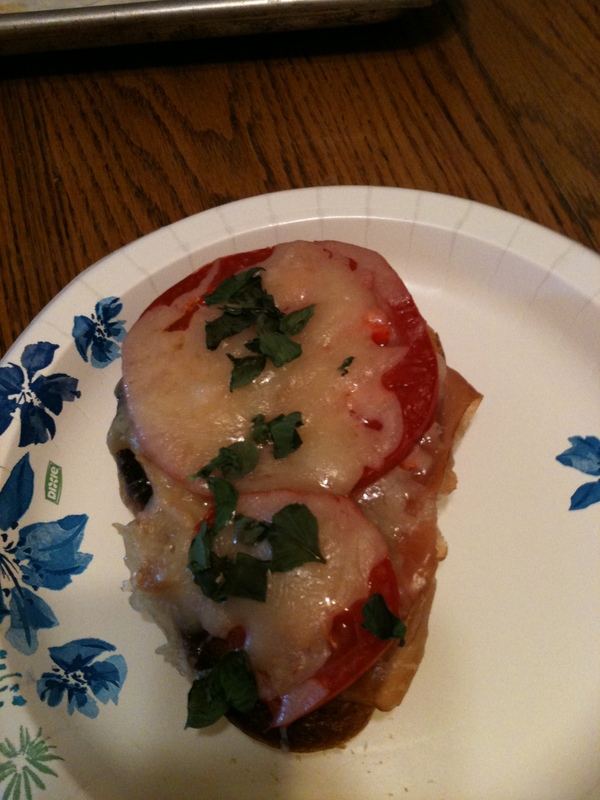 Then he put thinly-sliced prosciutto and fresh mozzarella on the toast and layered garden fresh tomato, fresh from the herb bed basil and topped it with really good Gruyere and popped it back under the broiler until the cheese was hot and bubbly.